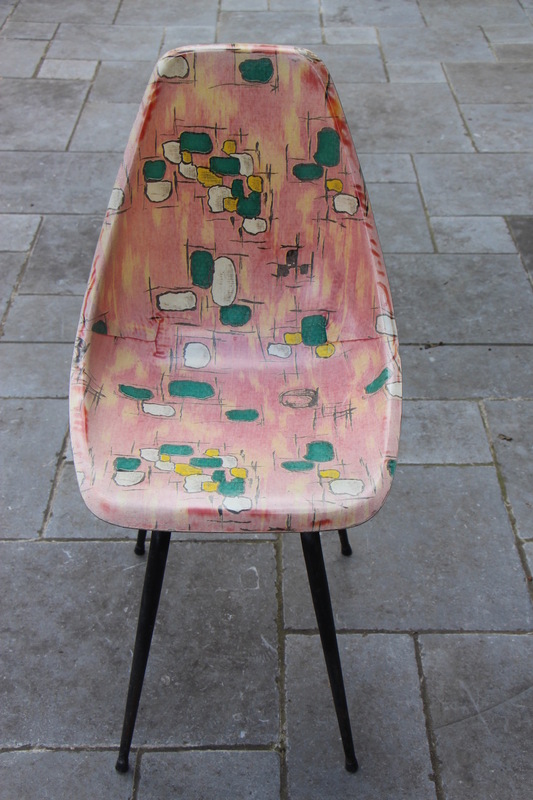 Absolutely charming chair from Obumex (Belgium, sixties). 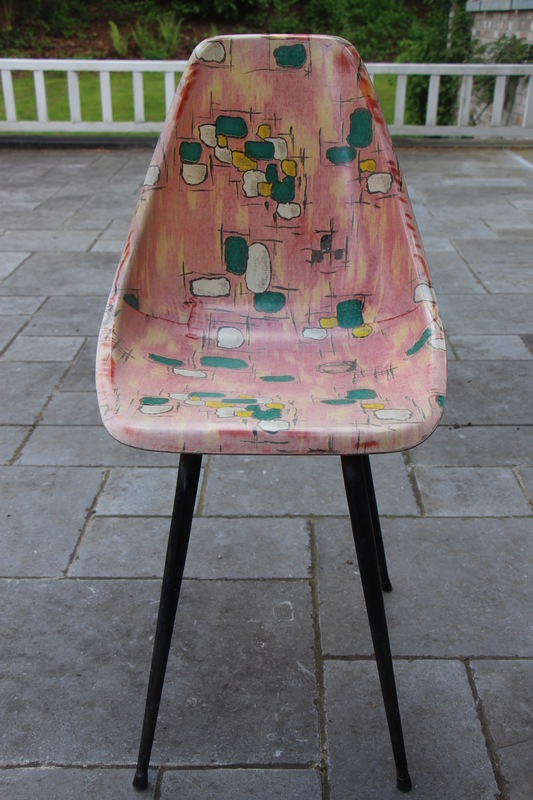 This chair was made especially for Obumex when they developped a wallpaper collection during the sixties. 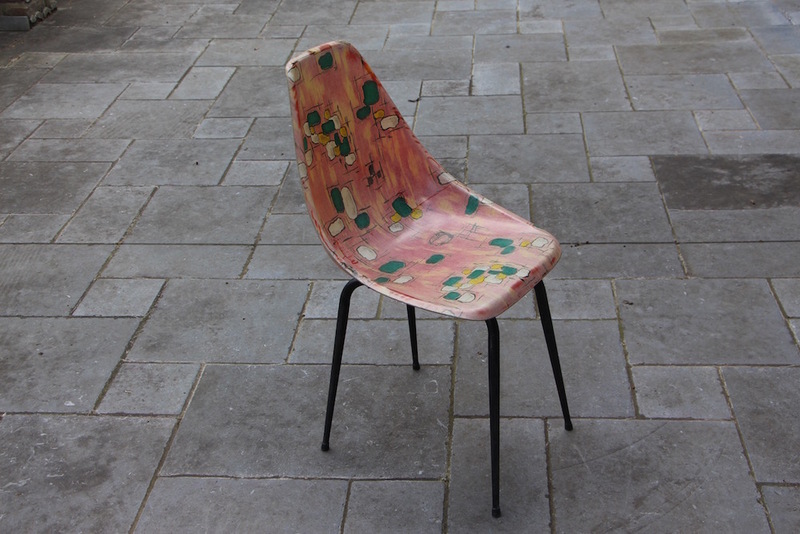 I had 2 of these chairs some years ago and now I regret I did not keep them to have a serie of them. They're all different with graphic designs. The fiberglass is perfect and has lived through the years, probably fading a little with the sunrays. But definitely still stunning! 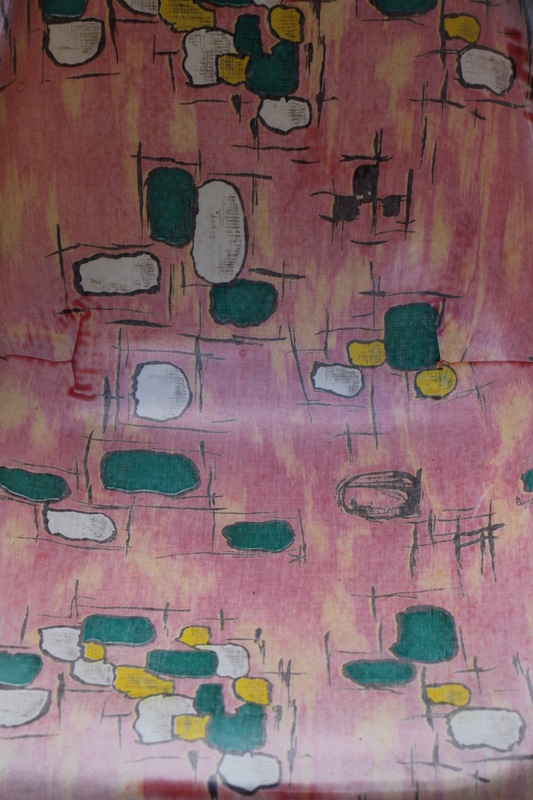 Imagine this one in a bathroom, a dressing or in front of a girls desk...eyecatcher, right?